You'll find newspapers ranging from small towns to major cities and dating all the way back to the 1700s. Watch the webinar recording of the Getting the Scoop on Newspapers Webinar in Premium Membership. They have recently added 166 newspapers from 42 states here in the U.S.
Search for newspapers at Genealogy Bank here. This is the app for the iPhone and iTouch and now iPad that allows you to stream the podcast and get all kinds of bonus content. Here is a post Bill did on the Genealogy Gems Podcast. Brandt wrote in asking about the microphone attachment for the iPod so that you can record audio. Kathy Ott recently wrote in asking for suggestions on beginner genealogy guides for a gift. I recently became really interested in t he Who Do You Think You Are? TV series. It sparked off a whole new passion for me. 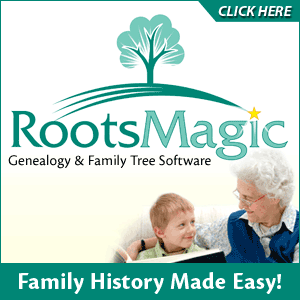 I just signed up for your Genealogy Gems Newsletter and I've been listening to the Genealogy Gems and Family Tree podcasts. As a newbie, they have been an asset to my research with all your tips and help. Thank you very much! It's so exciting each time I discover a new ancestor to connect to my family tree or find a document giving me a little more insight or verification. It is absolutely amazing to see how not that long ago, an ancestor came to America or how they were involved in a significant historical event. So thank you for all your recommendations, interviews, and for creating such a fun and informative podcast to listen to. I can't wait to show off what I have found to my family. Lisa interviews Dr. Robert Leonard Ph.D.
Watch the video of the Hummert case as described by Dr. Leonard.